Description: This Google Doc newsletter template includes two styles. The first style is great for students to use by themselves. The second style is great for student collaboration. Share the Google Doc with your whole class and have them work together on one newspaper or have each student create their own! Both styles use a three column layout which allows for easy editing. 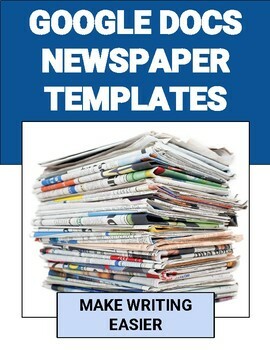 Your students can add images and color to spice up your newspaper!